Note that the windows visible on the marker are a reflection of the building accross the street from the marker - the marker is made of plexiglass. 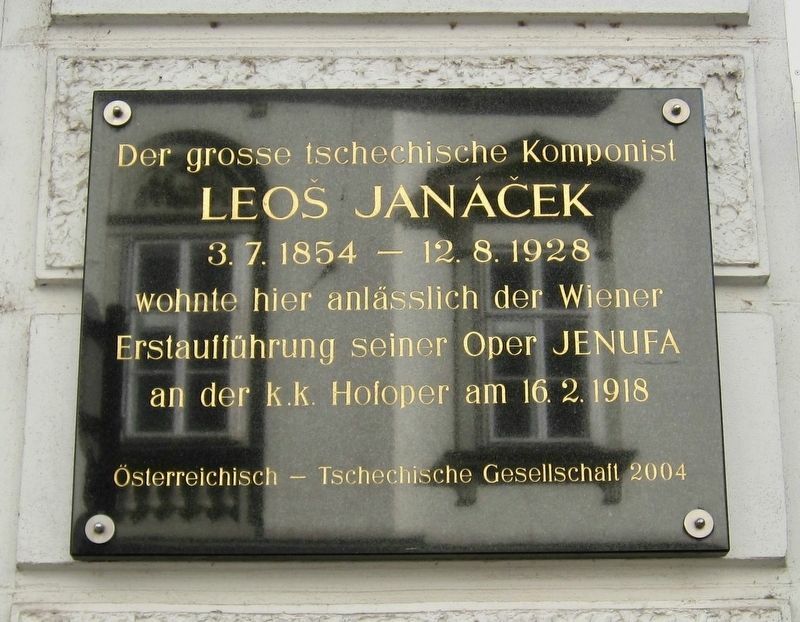 The great Czech composer Leoš Janáček lived here on the occasion of the Vienna premiere of his opera Jenufa at the imperial Hofoper on February 16, 1918. Erected 2004 by Österreichisch Tschechische Gesellschaft. Location. 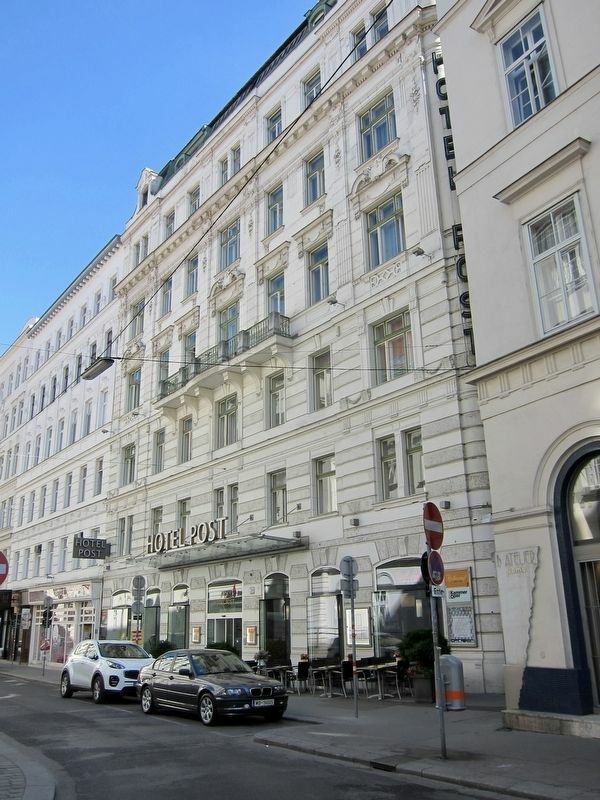 48° 12.611′ N, 16° 22.7′ E. Marker is in Vienna, Wien, in Innenstadt. Marker is on Fleischmarkt just west of Postgasse, on the right when traveling east. Touch for map. 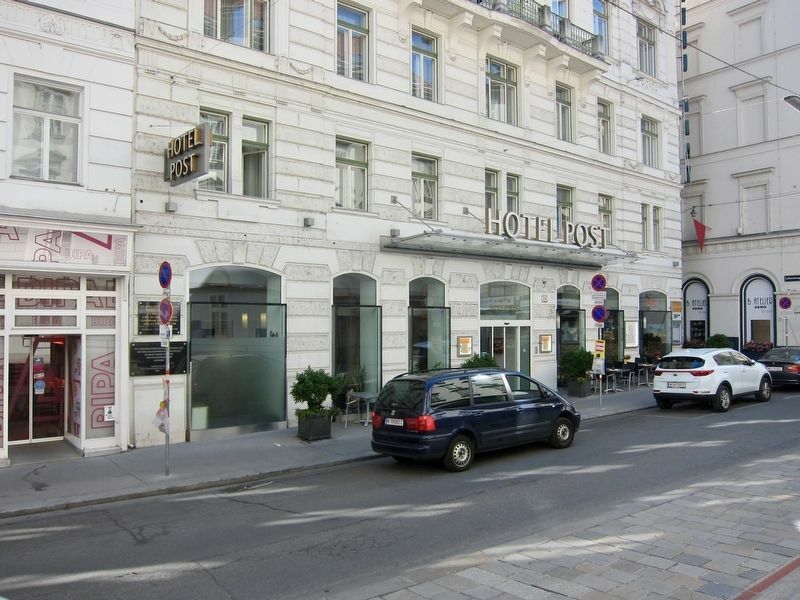 Marker is at or near this postal address: Fleischmarkt 24, Vienna, Wien 1010, Austria. Touch for directions. The marker is visible here on the left edge of the hotel. (about 180 meters away); Die Aula der Wissenschaften / Hall of Sciences (about 210 meters away); Charles de L'Ecluse (Clusius) (approx. 0.3 kilometers away); Karl Freiherr von Vogelsang (approx. 0.3 kilometers away); Lueger Denkmal / Lueger Monument (approx. 0.3 kilometers away). Touch for a list and map of all markers in Vienna. Photo courtesy of the archive of the Department of Music History of the Moravian Regional Museum in Brno via Wikimedia Commons. More. 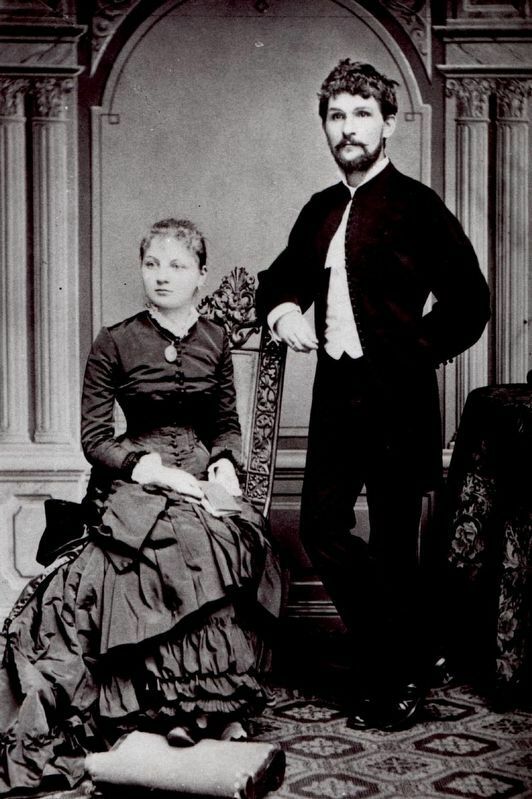 Search the internet for Leoš Janáček. Credits. This page was last revised on July 3, 2017. This page originally submitted on July 3, 2017, by Andrew Ruppenstein of Sacramento, California. This page has been viewed 150 times since then and 4 times this year. Photos: 1, 2, 3, 4. submitted on July 3, 2017, by Andrew Ruppenstein of Sacramento, California.